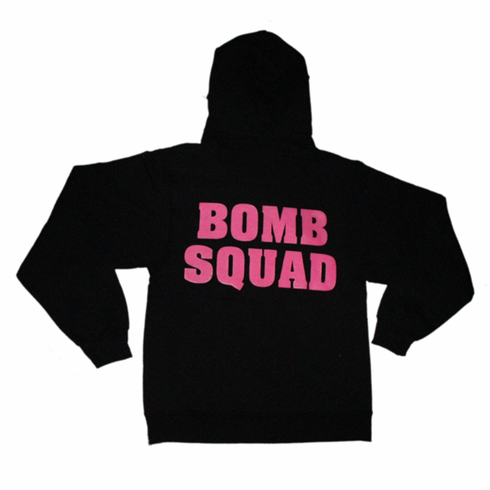 Black Hooded Sweatshirt has Bomb Squad in large pink letters on back of shirt. Front Left Chest Print is a coin with 'EOD Wife' lettering under the badge. Click on image for larger view.